Case Studies – Radio Express Inc.
Have Cell Phones Displaced Two-way Radios? As cell phones become smarter, cheaper and more easily available, businesses are trying to use them for business – critical communications. 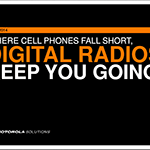 Learn more about this Digital Radio Case Study. Learn more about this MOTOTRBO Manufacturing Case Study. Utility poles topple. Power lines plummet. Outages occur across the county. Your work crews have plenty of territory to cover to respond quickly to repair and restore power. Instant dispatch and unbroken communication are so essential to managing your ﬁeld force, you need a system that is 24/7/365 reliable wherever they go. A system so efﬁcient and easy to use, it can increase safety, improve customer service and reduce operating costs, too. Learn more about this MOTOTRBO Case Study. Keeping students, faculty, and staff safe wherever they are on campus is a priority. However, the Safety and Security Department at the University of St. Francis in Joliet, Illinois was coping with an aging, unreliable two-way communications system, making their jobs more challenging. With their new MOTOTRBO digital two-way portable radios, Safety and Security can now communicate throughout the campus – even throughout the underground service tunnels and all the way out to the new downtown satellite campus located a mile away. Learn more about Best Practice for Campus Safety. Ten years ago, the city of Madison was dealing with many of the same problems it faces today. Most notably, ensuring the safety of its employees and maximizing their productivity. Every day, the police, fire, rescue and public works departments relied on two-way radios to keep them connected so they could do their jobs. and those radios demanded durable and long-lasting batteries that lasted throughout their long shifts. But problems like overcharging and overheating reduced battery life. fortunately, the city’s partnership with Motorola was about to change things. Learn more about this IMPRES Battery Case Study. On the manufacturing line or the fire line, at a crash site or a construction site, you rely on a two-way radio that operates continuously – that won’t stop when it’s dropped, won’t break when it’s shaken, or won’t fail when it’s shocked by static electricity. 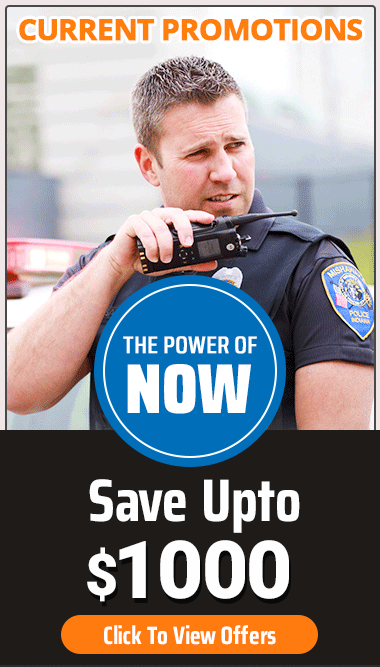 Whether you’re in public safety or private enterprise, radio batteries that can’t handle the rigors of the real world aren’t a bargain. Because when a radio battery dies and your radio stops, you can’t do your job. With its newest resort opening its doors in early 2010, the JW Marriott San Antonio Hill Country Resort and Spa wanted to ensure that its new flagship property maintained and even exceeded its already high standards for guest satisfaction. Choosing MOTOTRBO> over cellular push-to-talk technology, the hotel saved $14,000 per month in service fees, significantly improved response time to guest requests, and expects to achieve full return on investment within 18 months. Learn more about the Marriott MOTOTRBO Case Study. In order to retain and grow customer loyalty, hospitality businesses must provide exceptional service to their guests. Reliable and clear communication among your workforce is a vital aspect of providing that excellent customer service while keeping your business operations running smoothly. And discreet communication is especially important in areas where you need to provide an enjoyable environment for your guests. Read the Mototola MOTOTRBO Hospitality Application Brief.